Not many people think of translators until they either need one or they find something that has been mistranslated. Let’s be honest, many don’t even know why we need translators. Some, when looking for translation, don’t think beyond selecting the cheapest or easiest translator with no real consideration of theirsubject matter expertise and quality. Translators are silent superheroes. You may not realize it, but everyday they quietly go about the business of saving lives, saving businesses and saving face in this ever-shrinking global economy. 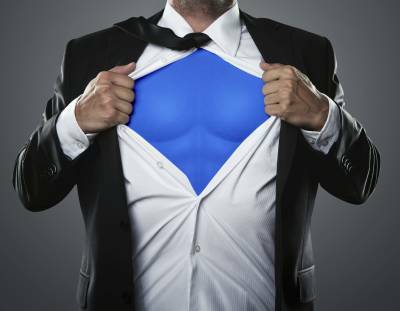 Here are just a few examples of translators as superheroes and why they are important to any global industry. Planes fly all over the world, and planes have engines. Perhaps you may not have thought about it, but engines are highly technical, as are all the other related equipment that works to keep them flying. These engines and equipment need maintenance and sometimes even repair, and they are worked on worldwide by speakers of all sorts of languages. Translators translate the equipment manuals and other documentation used by aviation mechanics and engineers worldwide to keep planes in the air (Something to think about the next time you are white-knuckling those arm grips during your next takeoff or landing). People fly every day, blindly trusting that the plane is going to function properly and that any equipment manuals were translated correctly (hopefully by native language aviation experts) to ensure the plane is safe to fly. In the course of developing any medication, new drugs must go through clinical research. Clinical trials are performed across the globe and take a lot of time and money. One error in one word can mean that an entire clinical trial must be scrapped. This can mean further delays, loss of funding or that a viable drug may never make it to market. We were recently contacted by a major clinical research organization that had relied on a translator who mistranslated one word that cost them their entire research project and millions of dollars. They were starting over again from the beginning and looking for translators who were also specialists in their field to translate all of their materials going forward. They had learned the hard way that what seemed like savings at the beginning of their project ended up costing them in the end. Translators translate questionnaires, instructions and testing results, helping to ensure that medications are safe and to bring drugs to market. Properly understanding how to take prescription medication can mean the difference between life and death. Yet, if prescription directions are given in a language you don’t understand it is easy to become confused and to not adhere to the medication directions as prescribed. I remember when I lived in Korea and got sick. I was given packets of medication with directions in Korean (which I didn’t understand) and was sent home. To this day, I still don’t know exactly what I was prescribed or if I took it correctly. Thankfully I survived, but it would have been great to have had a translator superhero at the time. Unfortunately, not all such instances turn out so happily. Translators who translate prescription and medication information save lives everyday, though chances are, we may never hear about it. It is said that if you are aware that you are reading a translation, then the translator did not do a good job. We have all had a chuckle at marketing campaigns or product launches into foreign markets that flopped because of mistranslation. I think of an example of a company that approached us to retranslate their product materials after discovering that their previous translators had made their company a laughing-stock. Their company reps were surprised when visiting their client’s offices abroad to see bits of manuals and marketing materials circled and highlighted on a bulletin board in the company breakroom. They were shocked to learn that their translated materials were a source of great humor to their clients and that the “best parts” were posted to share with the entire team. After that embarrassment they sought a professional translation company with the technical expertise to properly communicate their materials in the way they intended. Translators bridge the gap enabling you to communicate in languages and cultures that are literally a world away. Translators translate your company’s marketing and product materials for your global audiences. Translators also translate the documentation required by international regulations to bring your goods and services into markets worldwide. Translators ensure seamless integration into new markets. The next time you think about your translation needs, remember that translators are silent superheroes doing a very important job. Also, be sure the translation team you select for your next translation project is truly super. If you agree that translators are superheroes then you will most likely enjoy our blog “Interpreters Are World Champions!” Please like and share if you agree.